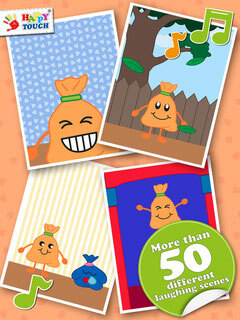 New FUN for your iPad/iPhone: Baby Laugh Bag! The No. 1 App to make you HAPPY! It's a great day, it's launch day! The awesome "Baby Laugh Bag" is finally on the iTunes App Store. - For young and old! Check out a new review on topbestappsforkids.com with trailer here.